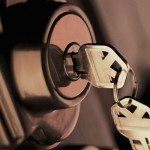 All Secure Locksmiths Melbourne offers fast, friendly and professional residential locksmith services across Melbourne. We have the experience, expertise and friendly attitude to ensure any office building, warehouse or construction project is secured to the highest standard. When it comes to safe installation, repairs, servicing, changing locks or opening, All Secure Locksmiths knows how to complete any safe service. All Secure Locksmiths is your residential and commercial locksmith specialist. 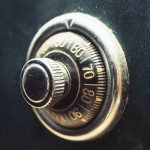 We provide a variety of safe and lock services and have diverse capabilities to repair safes, change locks, rekey locks, open safes and much more. 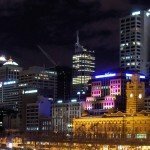 We service all of Melbourne’s locksmith needs. Give us a call and we can have a lock technician to you in as little as 15 minutes. With over 20 years’ experience providing friendly, professional service, we have built a reputation for excellence and reliability. Sean is very professional and helpful. He has made good suggestions to solve my problems. Excellent professional service, quick response, had all tools on-site to help with additional keys, etc. Definitely recommend. Top job & great follow up. Very good customer service & will recommend Sean to anyone from my family & friends. Contacted me promptly, kept me informed, job done well within timeframe required, quoted accurately. Will use this provider again without hesitation. Thanks. Very quick, helpful and friendly, thank you. Great service. All Secure were prompt, courteous and trustworthy - I will recommend them to everyone I know. Thank you very much! Was timely, very polite and did a good job. All Secure Locksmiths have the skills to unlock all your problems, be it at a commercial or residential address. Our residential services help residents throughout Melbourne feel at peace in their homes, comfortable in the knowledge that their home is fully secured. Whether you’ve locked yourself out of your apartment, need the locks changed in your new home or have lost your keys, All Secure Locksmiths are the team to call for a full suite of residential locksmith services. From Brunswick to Essendon, All Secure Locksmiths have got Melbournians covered. When you own a business, the safety and security of your staff, inventory and property are of paramount importance. Whether your business is in North Melbourne, Carlton, Preston or other nearby suburbs, All Secure Locksmiths are your go-to commercial locksmiths in Melbourne to call for a variety of services. Our expert team can assist with installing doors, deadbolts and cabinet locks, installing and upgrading keyless entry door locks, opening and repairing safes, creating registered key systems and emergency lockout situations. Ensure you have the best locksmiths in Melbourne’s north on-hand for all your business’s security needs by turning to All Secure Locksmiths! All Secure Locksmiths are the locksmiths of choice for residents in Melbourne’s north: find out why by calling us on (03) 9306 6760 or 0421 149 760.